iFile is a powerful File Manager app. It provides users access to the iOS file system and the ability to access and modify it. The iFile app works in the same way as Windows Explorer and OSX Finder and has plenty of useful features. First, let’s look at how to download the iFile app on your iPhone. 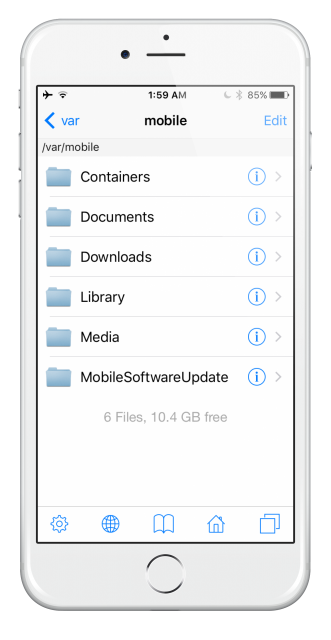 This file manager is not something you can download through the iOS app store because it won’t get past Apple’s strict guidelines. So, you need to download Cydia Impactor app first. It is an IPA installer that allows you to sideload app .ipa files to your iOS device and bypassing the installation restrictions from Apple. Download iFile IPA File from below. Download and open Cydia Impactor and drag and drop the IPA file on the app, and wait for it to install. You can also download iFile on your iPhone or iPad using the HipStore app. This requires No Computer and is a more convenient way to download the iFile app. Note: iFile does not work on iOS version 11.0 and above. A more suitable app for iOS 11 and above is the Filza app available for free on TweakBox app store. This unofficial file manager is an incredibly powerful tool, one that you would do well to have in your bag of goodies. You won’t get these features anywhere else, at least not altogether in one app so give it a go today and tell us what you think of this app; follow us on Facebook for more updates.